LAKE ELSINORE, Calif. - The JetHawks wrapped up the regular season with a 6-5 loss to the Lake Elsinore Storm on Monday at The Diamond. The defeat dropped Lancaster (70-70, 37-33) to .500 to finish the season, the first time the club has ever finished with an even record in its 23-year history. The JetHawks dropped their final four games of the season to the Storm (68-72, 34-36), getting swept in a four-game series for the first time since June, 2016. The JetHawks rallied for two runs in the eighth inning to get within a run of the Storm, but Tom Colletti pitched a perfect ninth to pick up his first save and wrap up his club's final game of 2018 with a win. Down, 6-3, in the eighth, Bret Boswell and Luis Castro started the inning with singles against left-hander Cody Tyler. Lancaster hadn't had a hit since the fourth inning. Alan Trejo brought home a run with a single, and Joel Diaz added another RBI-hit and sent the potential tying run to third. Lake Elsinore turned to Blake Rogers out of the bullpen and induced a Max George inning-ending groundout to hold on to the lead. An error in the first inning led to three unearned runs for the Storm. After an Eguy Rosario single to start the inning, Trejo failed to handle a ground ball off Chris Baker's bat, helping the Storm put runners at second and third with nobody out. 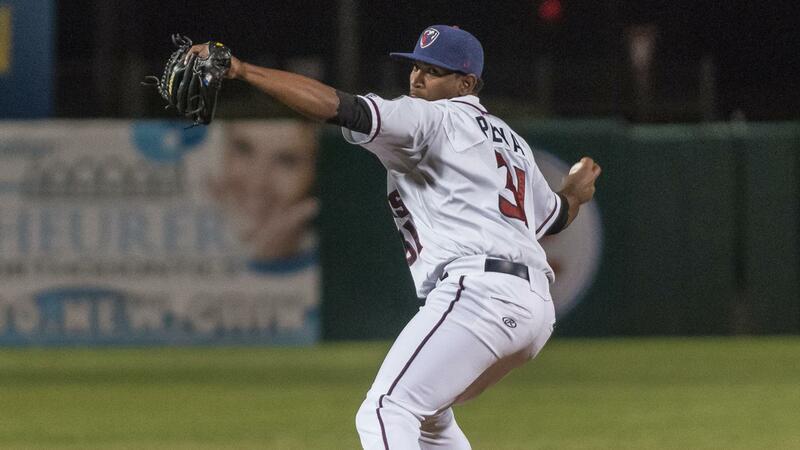 Juan Peña (4-1) was unable to pitch out of the jam, and the Storm scored on an Edward Olvares sac-fly, a Brad Zunica ground ball and a Michael Curry base hit. Lancaster answered with three runs in the second inning to tie it up. Vince Fernandez reached on a one-out triple, and Diaz and George followed with back-to-back walks to load the bases against starter Reggie Lawson (8-5). Manny Melendez singled up the middle to bring home two runs. Carlos Herrera tied it with a sac-fly. Peña was unable to keep the game tied in the bottom of the second. The right-hander gave up a Luis Guzman double and another Rosario single to start the frame. Both runners scored. Peña ended up allowing five runs (two earned) on six hits in his first start since he was with Rookie-level Grand Junction in 2015. The only other Storm run came on a Brad Zunica solo home run to start the fifth against Salvador Justo. Lawson lasted five innings, allowing three runs on three hits with six strikeouts and a career-high-tying five walks. The JetHawks are off Tuesday before beginning the best-of-five South Division Finals against Rancho Cucamonga. Game 1 is Wednesday at The Hangar. Brandon Gold is slated to start for Lancaster against Leo Crawford. First pitch is 6:35 p.m.